A new study has found that artificial sweeteners do not cause blood sugar spikes. While this finding has been speculated in the past, researchers from the University of Illinois were the first to confirm it with this study. This finding was obtained through the review of 29 randomized, controlled trials that involved 741 people. Approximately 70 participants had type 2 diabetes. 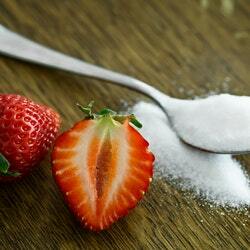 It was revealed that on their own, artificial sweeteners did not raise blood glucose levels. However, the content of the food or beverage that contained the sweetener needed to be considered, especially among diabetes patients. Many foods that claim to be sugar free still contain carbohydrates, protein, and fats, which can all affect blood sugar. The findings were published in the European Journal of Clinical Nutrition on May 15, 2018.